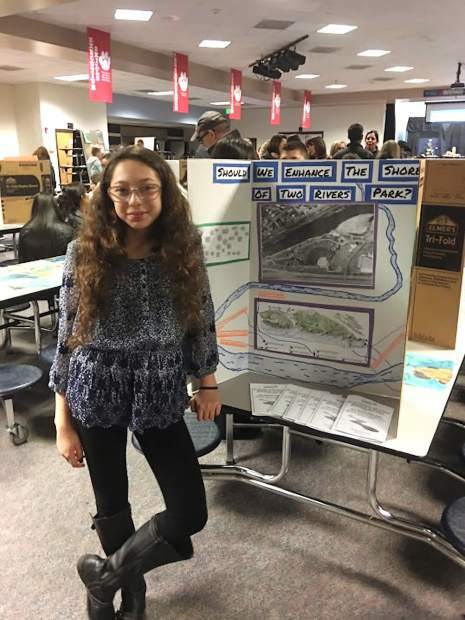 Milla Montoya-Weir, a sixth-grade student at Glenwood Springs Middle School, presents her findings regarding the Two Rivers Park shoreline enhancement project during the Jan. 19 student expo. 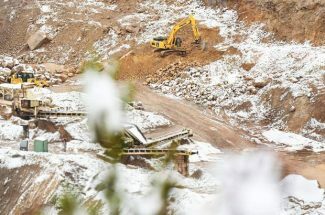 On Jan. 19, sixth-grade students at Glenwood Springs Middle School presented their recent learning about water resources and ecology to the community at a Science Expo. 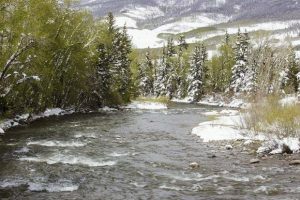 Students presented about the ecological, geological and economical parts of the Colorado River and also discussed what they learned from the different community members who came to speak at the school last semester. The Andy Zanca Youth Empowerment Program demonstrated how the students wrote and recorded public service announcements for KDNK. Band students performed sounds the river makes from the headwaters to the mouth.